As an English major, pages have always been my portal to faraway lands. This summer, however, the journey was real—having commenced with the stamping of a passport in lieu of the opening of a spine. By transporting me to an island Far, Far Away, Princeton’s International Internship Program placed me in a blank storybook and granted me free reign to write my very own tale (fittingly enough, in a country with no shortage of castles). Traveling makes you see the world anew. All at once, you are spiraled into a time warp—simultaneously child and adult, stumbling upon wonder in every nook and cranny yet maturing rapidly by the moment. 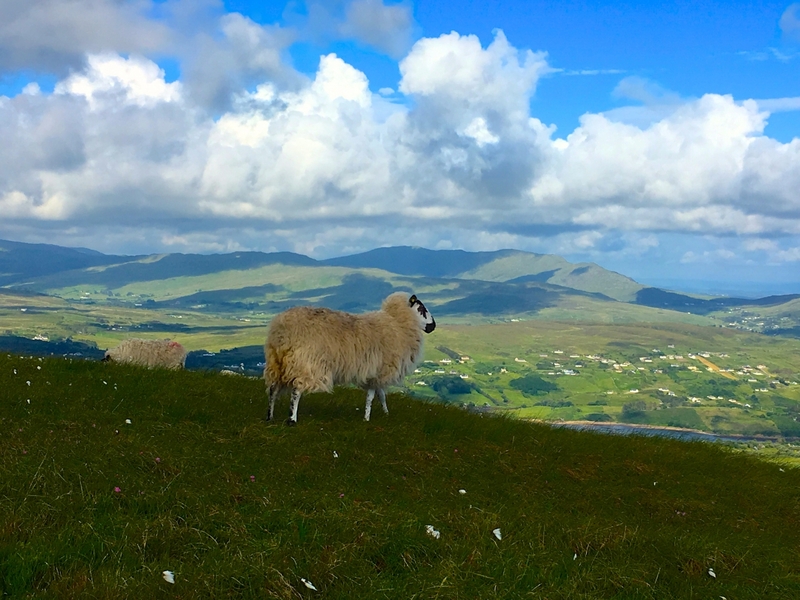 During my two months in Ireland, I scaled mountains and sea cliffs only to gaze down upon villages whose populations boasted more sheep than people. 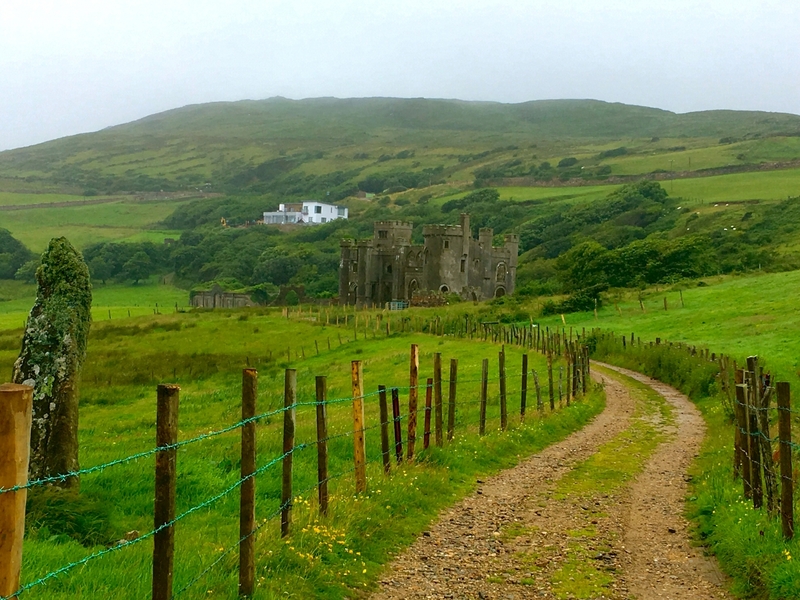 I biked to medieval ruins in the pouring rain—speeding past donkeys, cows and horses until the puddles in my sneakers rivaled those on the road beneath me. I swam underneath cliff-side waterfalls, sheep-speckled emerald towering above me as far as the eye could see. 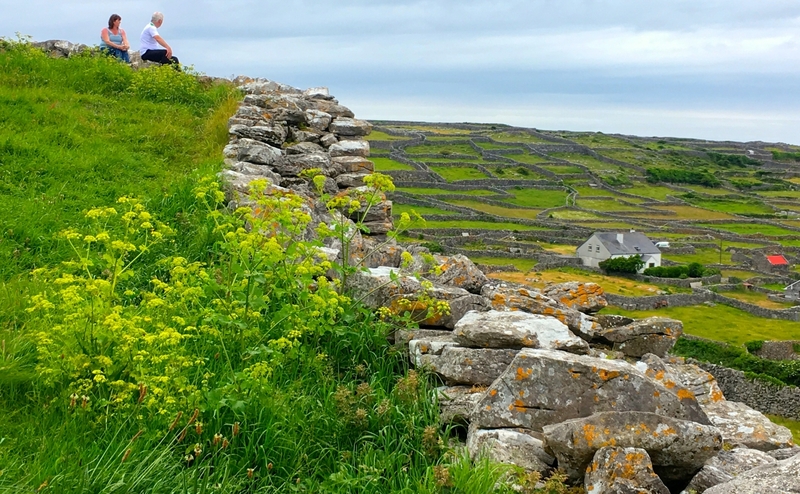 Every weekend, I left behind pieces of myself in landscapes that put the “wild” in Ireland’s Wild Atlantic Way—because what story is complete without a dash of adventure? The changes that I noticed in myself last summer were infinite—from the minute to the monumental. My tea intake skyrocketed. I grew more independent than ever before—there was inimitable satisfaction in every supermarket receipt, every “Table for one, please,” every successfully executed solo journey. I was the truest version of myself—more adventurous and connected to nature than ever before. There wasn’t anything that could stop me from shimmying through caves, scaling subterranean waterfalls, or rising with the sun to ascend a 2,500-foot mountain. As a solo traveler, I heeded nothing but my own two feet. You will climb mountains. You will wander. You will wonder. You will daydream. You will adventure. You will laugh. You will learn. You will grow—more than you ever imagined possible. You will face the world with perpetually glimmering eyes, an unshakeable skip in your step, and the knowledge that you alone are the author of your life story. Society oftentimes associates solitude with loneliness. But being alone is anything but lonely. It is freeing. It is calming. It is invigorating, inspiring, profound and unmatched. It gives you the chance to see aspects of the world that you would have missed with others in your periphery. There is something so sacred—so serene—about moments when it is just you, the trees, the sky, and the sea. When you’re alone, every bird’s chirp, rustling branch, crashing wave and fluttering leaf catches your attention. All at once, you realize that some can go their whole life without ever truly listening. On July 15, I found myself scrambling up the slippery rocks of Killarney National Park’s aptly named Cardiac Hill in the middle of a downpour. Finally, having hoisted myself higher than the pines, I reached the summit. All at once, the rain petered out as the sun filtered through the treetops. I stood there, basking in the double rainbow that arched its way over the park’s valley of verdant green, and not a single word was necessary. I urge you: At least once in your life, be that party of one alone on the mountaintop. As I flew west over the Atlantic at summer’s end, it occurred to me that I hadn’t purchased a single souvenir during my two months in Ireland. I don’t need anything to remember what this summer gifted me. Because when I look in the mirror, she’s right here.